August 2nd in Themes for Businesses, Themes for Real Estate Pros by Wordpress Jedi . WordPress is one of the best content management solutions for real estate professionals to take advantage of. As a real estate agent, you want to get your hands on a theme that is attractive and offers you the features you need to promote your houses more effectively. Besides, if you intend to show-case houses on your website, you want to give your visitors a chance to search through them to find what they need fast. Estate Theme is a dynamic theme by WooThemes that gives your visitors everything they need to search through your listings and get a better sense of which ones may be right for them. Estate is a very clean and powerful WordPress theme. It has an advanced search system right at the top to help your visitors filter through your listings and find those that fit their needs. 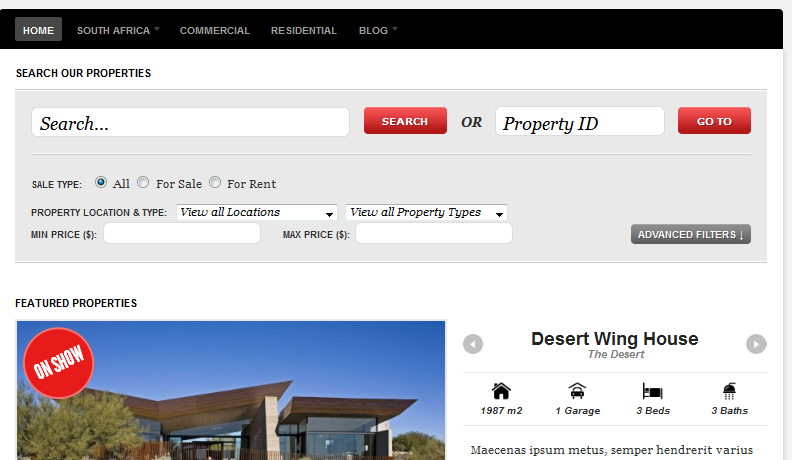 Your visitors can search by property ID or all kinds of other criteria. 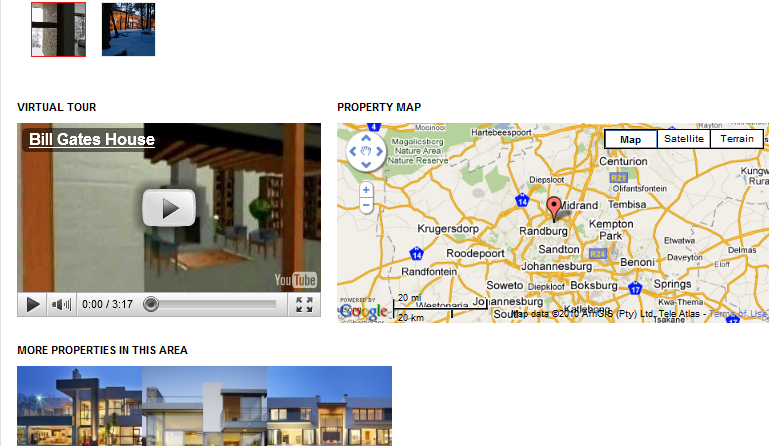 Your home page will come with a scroller to allow you to show case your top properties. Estate theme takes advantage of custom types to give you the flexibility you need to add all kinds of items to your real estate website. 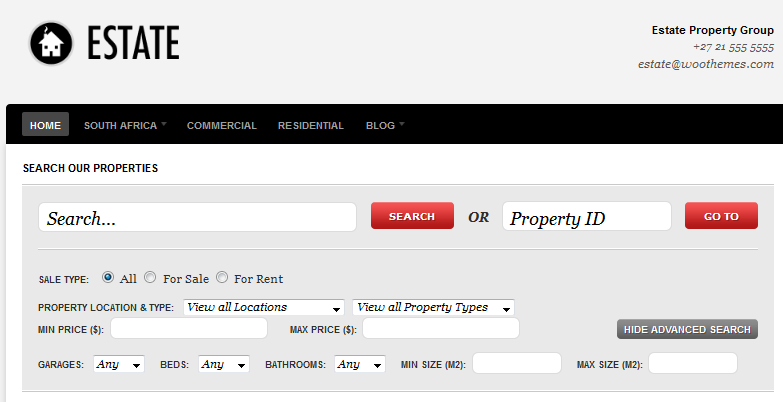 It has multiple layouts that can be used to present properties more effectively. It does help that Estate is image and video friendly. As long as you have the content, you won’t have any trouble adding it to this theme. This theme comes integrated with Google maps, giving your visitors to explore the neighborhood per each listing and choose their property in a more knowledgeable fashion. Estate is ready to be localized too, so you can technically use it to promote homes in a foreign language. To sum things up, Estate is one of the best real estate themes I have tested. It is pretty clean and is very content friendly. 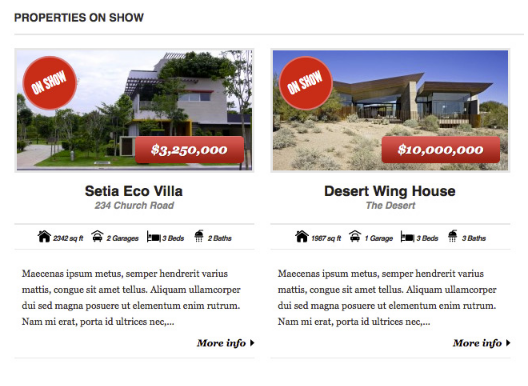 Listing pages look pretty sleek and the back-end is pretty powerful too. Worth investing in if you are planning to give you real estate website a makeover.